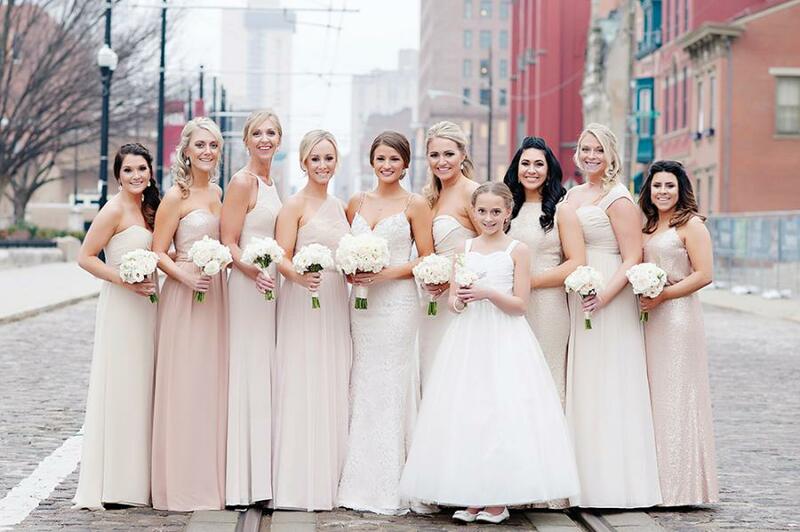 Bengals punter Kevin Huber married sweetheart Mindi Naticchioni during a lavish celebration in Over-the-Rhine. It all started with Music Hall. 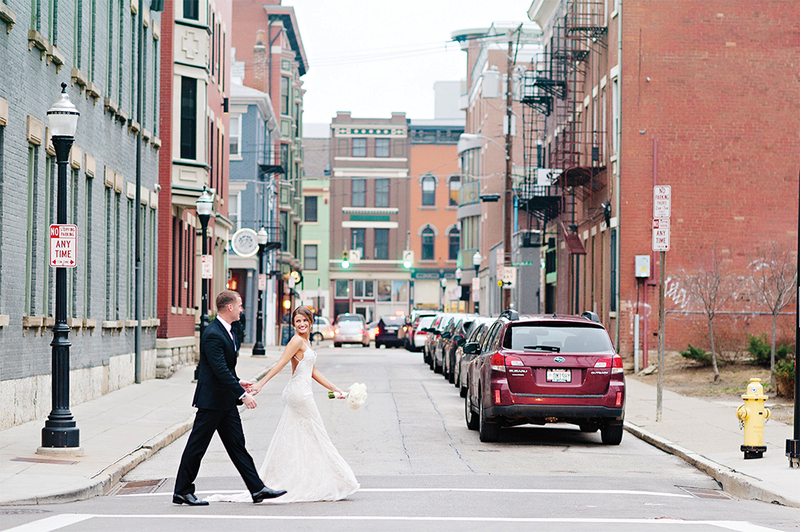 Having both grown up in Cincinnati, Mindi and Kevin knew they wanted an iconic Cincinnati venue that represented their roots—and that could also hold all 350 of their wedding guests. 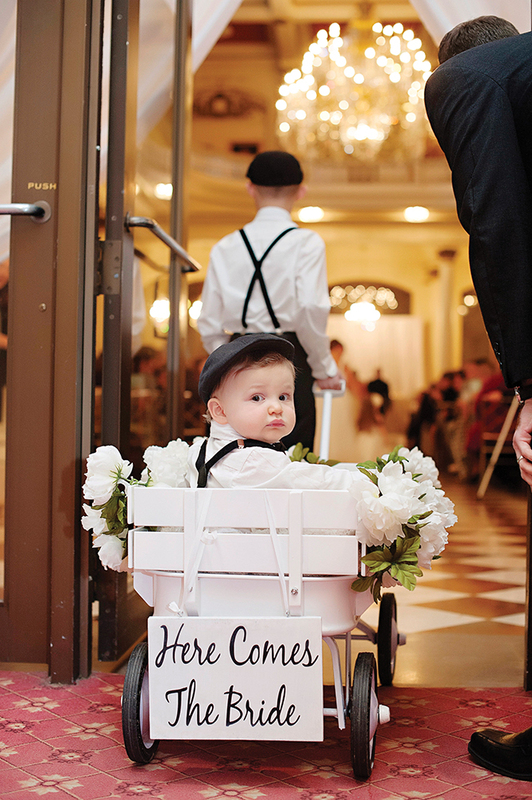 Once the venue was booked, the other details fell into place. 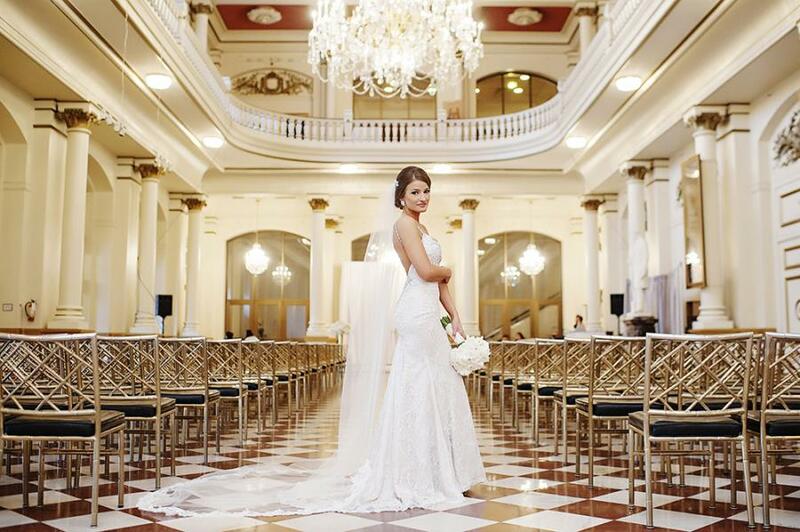 “We wanted the rest of the wedding to match the old-world glam of Music Hall,” Mindi says. Inside the reception, the tables continued the mismatched theme with alternating centerpieces of tall and short votives and candelabras. 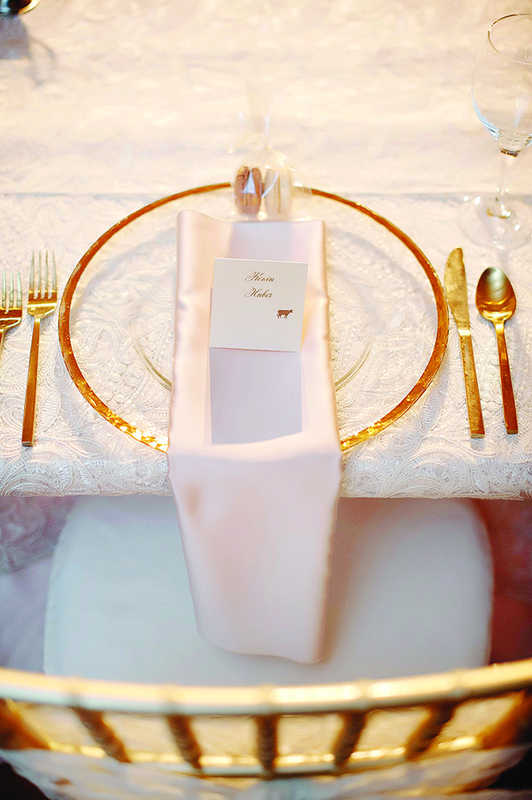 Lace overlays accompanied about half of the champagne-colored silk tablecloths. Plush, white floral arrangements added to the luxurious warmth of Music Hall’s ambience, and gold chivari chairs paired well with gold silverware to play upon Music Hall’s gilded glow. 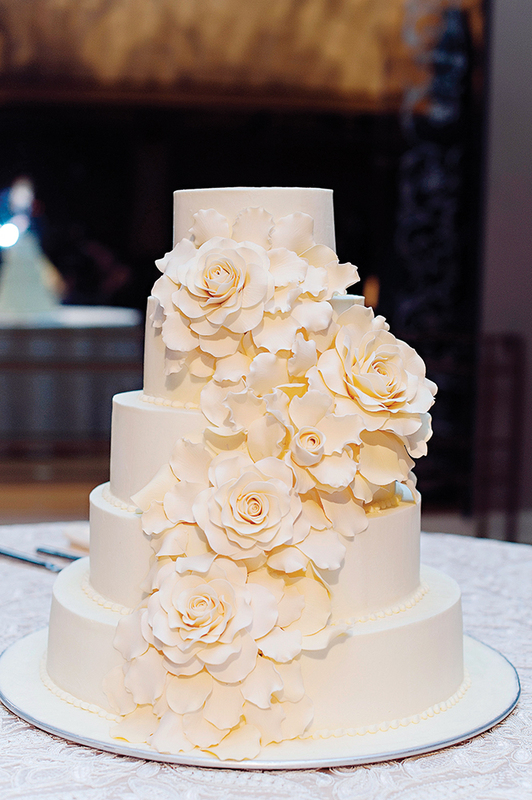 Mindi wanted an elegant cake without a lot of “bells and whistles,” she says, so the couple chose The BonBonerie’s classic opera crème and white chocolate raspberry interiors with an ivory frosting and cascading edible florals that mimicked the sumptuous floral arrangements. If guests couldn’t wait for dessert, they could nibble on the macaron favors placed at their seats. Fun fact: Mindi notes that Macaron Bar allows brides to choose any flavor macaron to come in any color, so hers came in shades of cream and vanilla to match the color scheme of the evening. To kick off the party, Kevin and Mindi entered in Drake style wearing red puffy coats and jamming to “Hotline Bling.” Baskets of white flip-flops were available around the dance floor for ladies to kick off their heels.